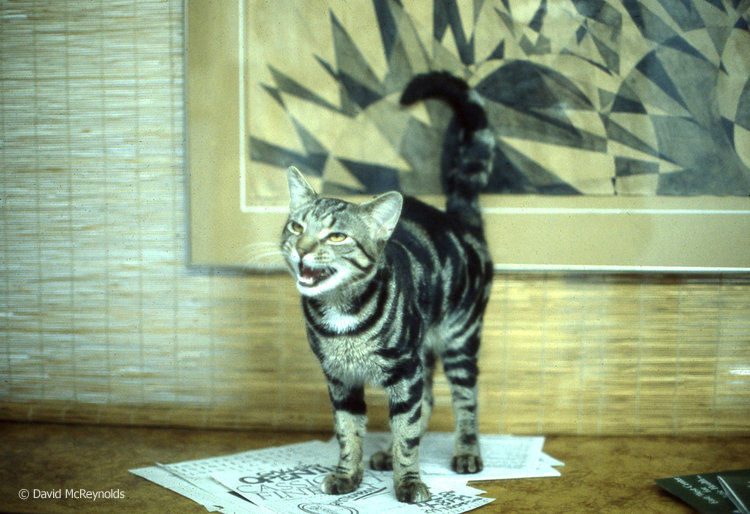 Mephistopheles, David's cat in Ocean Park before moving to NYC, 1954. Mephie 2, David’s first NYC cat out on his fire escape, 1957. Cat. 6th Avenue looking down W. 4th Street, 1957. Street cat, Lower East Side, 1957. Store cat, NYC, June 1979. Stray cats on roof at 339 Lafayette, undated (probably late 70s, early 80s). 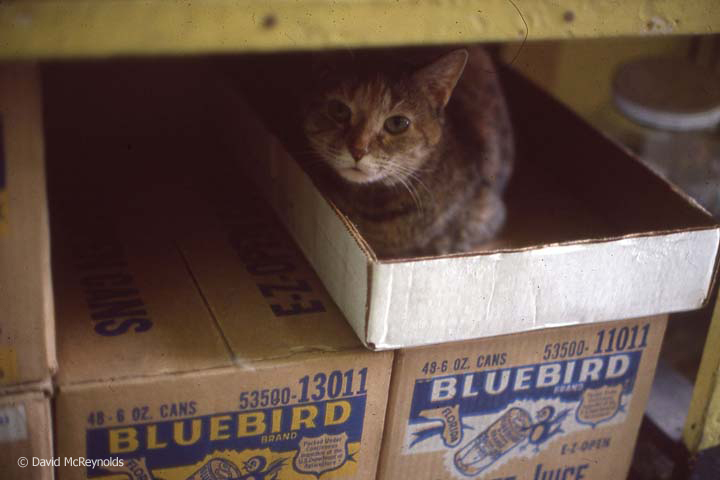 Store cat, NYC, November 1990. Outside the hotel in Baghdad, Iraq. October 1990. 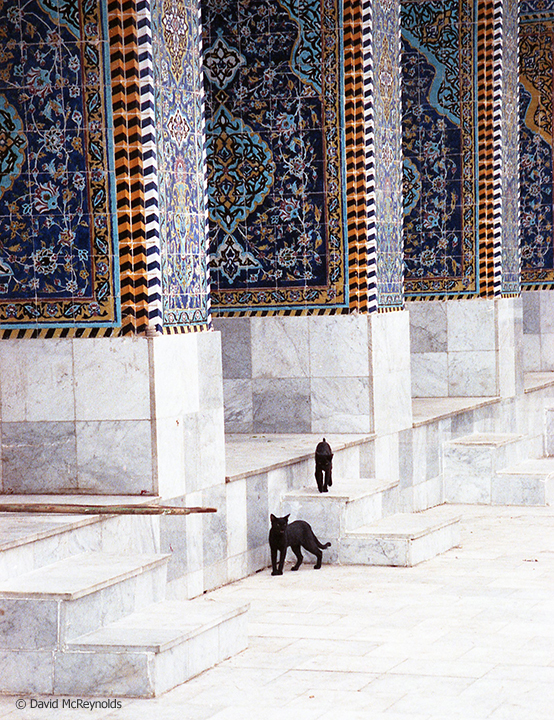 Iraqi cats at a mosque in Babylon, October 1990. 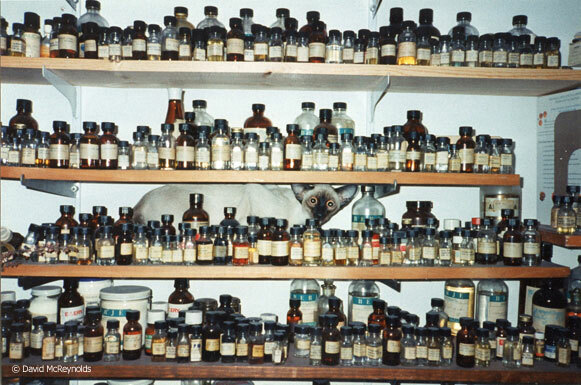 One of David’s hobbies was making perfume. David's cat Gandalf managed to leave the shelf with all bottles unharmed. 1990s. AJ, WRL office cat, Nov. 1990. 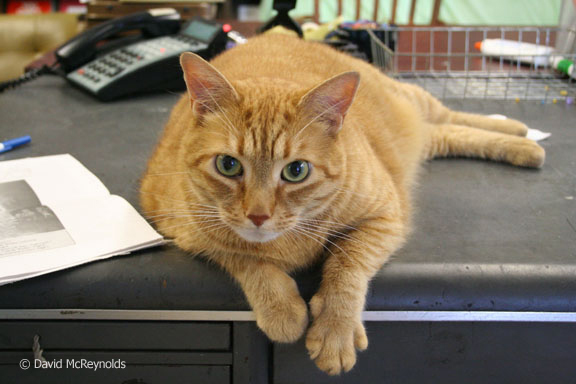 Rusty, WRL office cat. 2006.